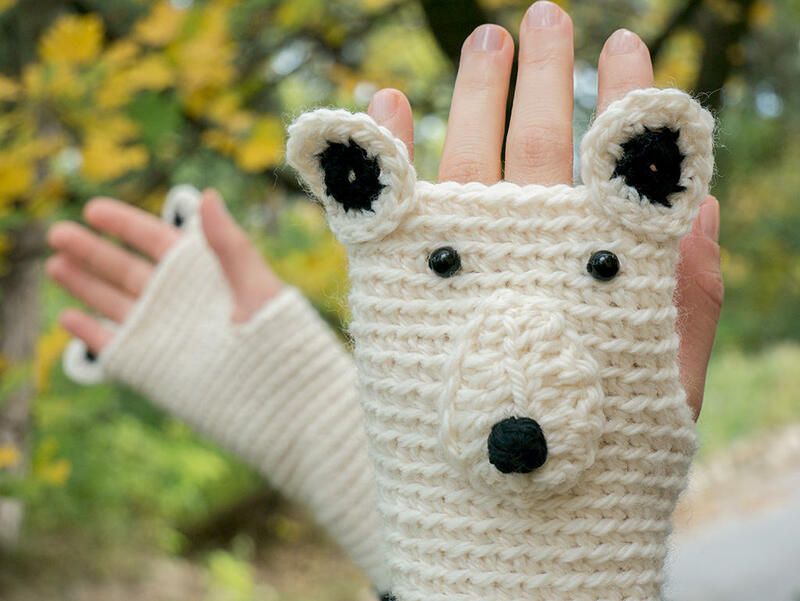 A brand new pair of 'Polar Bear (Wool) Fingerless Gloves'. It was designed and handmade by me for 'The Original Animal Fingerless Gloves' collection. About 8.5 x 18 cm / 3.34 x 7.08" (width x length) without ears and they are stretchy enough to fit slightly bigger hands as well. Yarns (100% Superwash Merino Wool + 100% Pure New Wool), plastic beads.